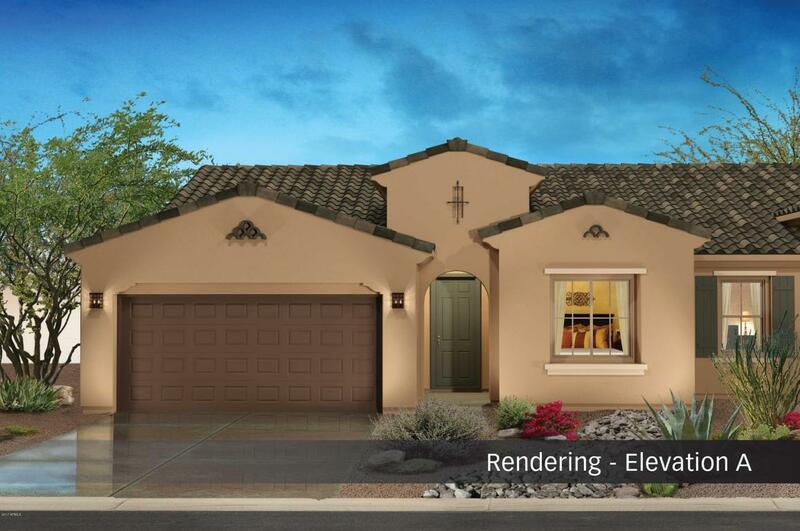 Photos are from Model Home, This BRAND NEW Cholla Villa is under construction & will be complete in March 2018. Beautifully upgraded by our professional designers, this home includes Upgraded Beech cabinets, Granite countertops, upgraded stainless appliances, beautiful 12x24in tile everywhere except bedrooms & pavers on the patio. Premium private location that backs to a serene desert hillside will give you the perfect setting to enjoy the outdoors & our beautiful Arizona sunsets! Robson Ranch is centrally located between Phoenix & Tucson and offers world-Class, resort-style amenities including: Clubhouse w/Ballroom/Auditorium, Championship Golf, Heated Indoor & Outdoor Pools, 16 Pickleball Courts, Tennis, Fitness & Creative Arts Centers, Restaurant, Softball & More!